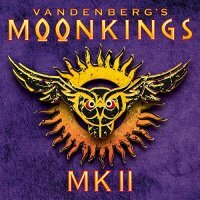 As the title would suggest, this is the second release from Adrian Vandenberg and his Moonkings. What's on offer through this album is some classy Blues-based Hard Rock with a decided leaning towards the Whitesnake sound of old (i.e. before '1987'). However, in saying that it shouldn't worry any of you because this isn't a straight cloning of that era of the Snake, but instead we find a band who have at their centre a true depth of quality in both the song-writing and musicianship departments. So much so that any fan of the Hard Rock genre will surely want to hear what they have put together for this release. 'Tightrope' is first out of the starting gate; hard and heavy with a powerful riff, this song really gets the juices flowing and no mistake. Following up this stylish beginning, we find Vandenberg and his cohorts in fine form. 'Reputation' is a fast-paced rocker, while 'Angel In Black' is all swagger and attitude with singer Jan Hoving showing just what an asset he is to the band, his powerfully impressive and weighty vocal roar drives the songs along at a breakneck pace. Other tracks worth highlighting include the early Bad Company-ish 'The Fire' (where Hoving once again proves his worth), the superb 'What Doesn't Kill You' which is probably the album's standout track (in my opinion) and album closer 'If You Can't Handle The Heat'. The latter has a wonderfully funky bass line that powers the track like an engine from which the band members then draw their energy. Lastly, to put the proverbial icing on the cake, we get Adrian Vandenberg soloing like a demon throughout the entire release. 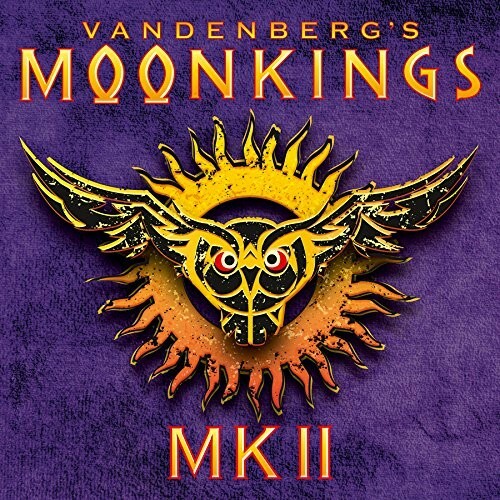 Vandenberg's Moonkings haven't tried to re-invent the wheel with this record. What we get instead is an album with plenty of musical nods to the Hard Rock of the seventies and eighties, and to be honest 'MK II' is all the better for it. For me personally, there's little fault to be found on this release and I therefore suggest you can buy with confidence. All that's left to say is roll on 'MK III'.